The Messenger of Allah (may Allah bless him and grant him peace) addressed his companions on the last day of Sha`ban, saying, "Oh people! 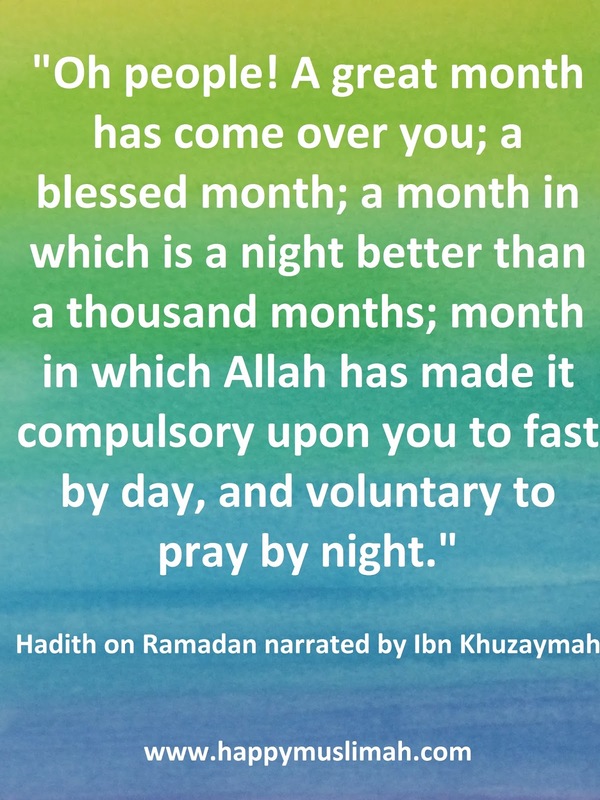 A great month has come over you; a blessed month; a month in which is a night better than a thousand months; month in which Allah has made it compulsory upon you to fast by day, and voluntary to pray by night. Whoever draws nearer (to Allah) by performing any of the (optional) good deeds in (this month) shall receive the same reward as performing an obligatory deed at any other time, and whoever discharges an obligatory deed in (this month) shall receive the reward of performing seventy obligations at any other time. It is the month of patience, and the reward of patience is Heaven. 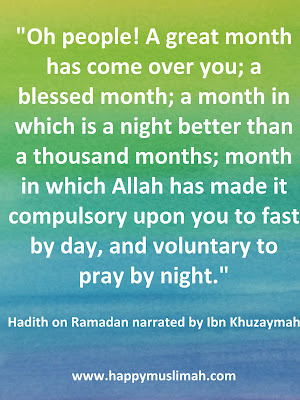 It is the month of charity, and a month in which a believer's sustenance is increased. 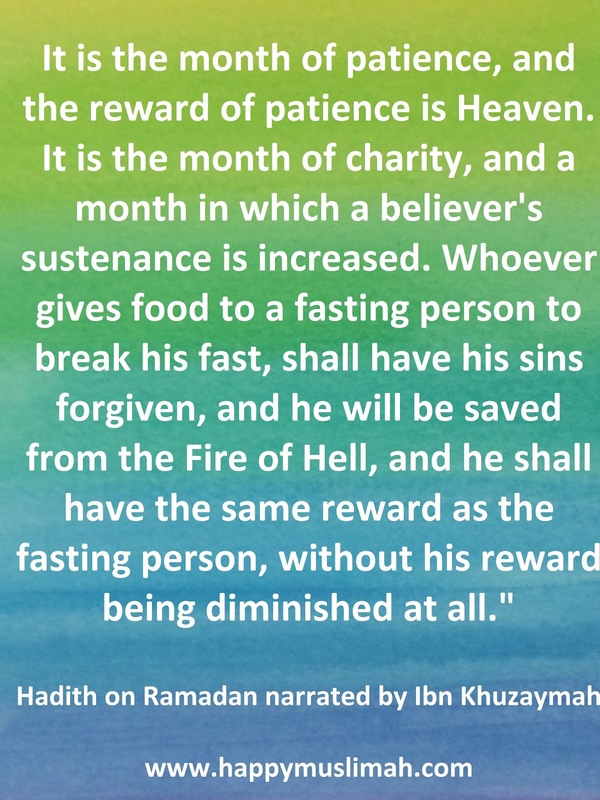 Whoever gives food to a fasting person to break his fast, shall have his sins forgiven, and he will be saved from the Fire of Hell, and he shall have the same reward as the fasting person, without his reward being diminished at all." (Narrated by Ibn Khuzaymah). 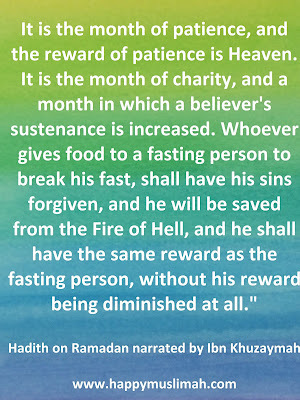 Alhamdulillah, this hadith is full of so much good news and so inspiring for those that are fasting.